Gluten-Free Decanter at St. Regis, Washington D.C.
For an upscale stay with a splash of history and luxury, the St. Regis Hotel Washington, D.C. is the ultimate spot. 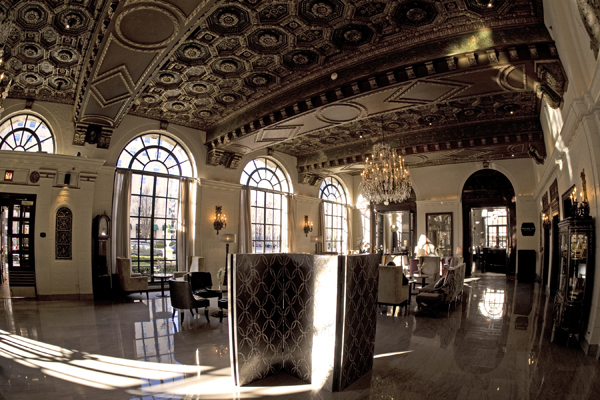 Just two blocks from the White House, the hotel has naturally become a regular haunt for political figures and has hosted each U.S. president since its grand opening in 1926. Known as the Carlton Hotel for its first 73 years, the institution was rebranded as a St. Regis Hotel in 1999. The hotel has been impeccably preserved and was most recently updated in 2008 to incorporate some luxurious modern conveniences. Just off the glamorous St. Regis foyer is Decanter, where Executive Chef Sébastien Rondier works his magic. Here Rondier focuses on Mediterranean cuisine, while also emphasizing local and seasonal foods. Decanter’s menu flaunts some seriously creative and playful items, and those safe for gluten-free, dairy-free, and vegetarian diners are all clearly marked. As always, make your food-related needs known to your server, and don’t hesitate to ask about ingredients or preparation. Decanter’s dinner menu centers on meats, fish, and seafood. While the meat-based offerings include inventive dishes with lamb, duck, and veal, the “from the sea” portion is where the menu truly shines. 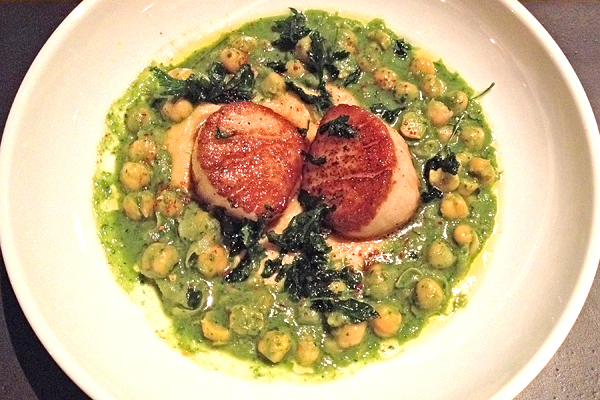 The scallops with braised chickpeas and chermoula are phenomenal in every way. Seared to perfection, the large, juicy scallops are served in a rich, herbal chermoula sauce with chickpeas tender beyond comprehension. This is a dish to savor slowly while taking in Decanter’s ambience—and its expertly curated wine list. Not to be outdone, Decanter’s dessert menu goes above and beyond the typical ice cream and sorbet choices that gluten-free eaters usually find. For chocolate lovers, the flourless chocolate cake cannot be missed. 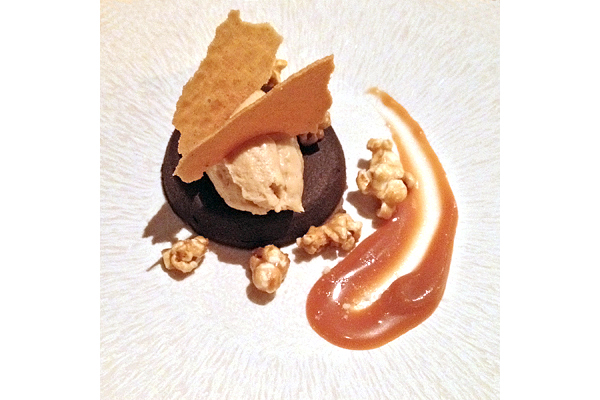 Dazzlingly rich, the chocolate cake is topped with a touch of caramel mousse and garnished with a thin caramel wafer and caramel popcorn. Whether you share with your dining companion or keep it to yourself, this dessert serves as a perfectly decadent end to your meal. Gluten-free breakfast choices at Decanter are also deliciously well-rounded. 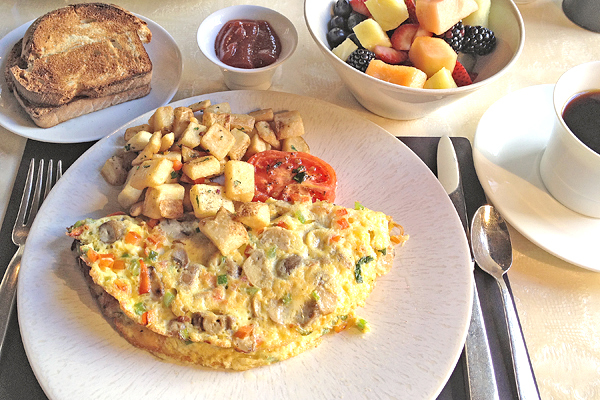 Three-egg omelets include a selection of add-ins (be sure to confirm that yours are gluten-free), and this one with mushrooms, peppers, and cheddar is a satisfying and protein-packed way to start the day. 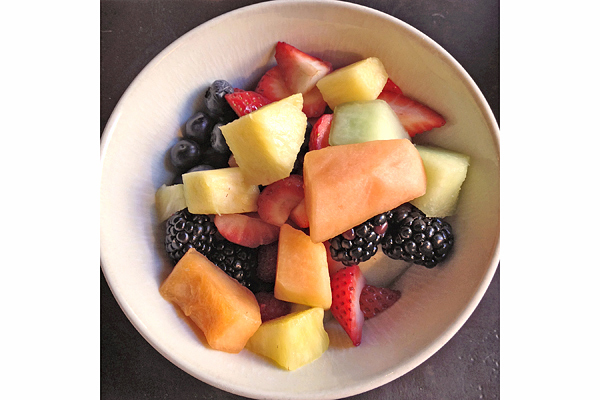 Served with gluten-free toast, a huge bowl of fresh fruit, and a cup or two of coffee, this is a tasty and filling breakfast that will easily keep even the hungriest gluten-free diner fueled for a day of DC sightseeing. Where? 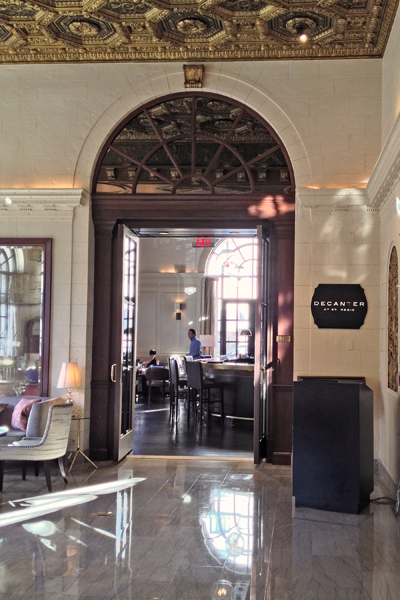 Decanter is located in the St. Regis Hotel: 923 16th Street NW, Washington, DC (202-509-8000). Yum! Everything looks delicious, those scallops! Also, what a gorgeous space!